Yes, I’m just getting to Love, Stargirl, by Jerry Spinelli. I forgot about it, ’kay? Get off my back. I liked the first book, Stargirl, being a little bit of a Stargirl myself in my rural, always-the-same, middle-of-nowhere high school. I found the character a little over-the-top and the message a little heavy-handed, but overall I liked the way the book showed the rigid, closed-minded high school world and how it can be infiltrated by a new idea and/or new person. 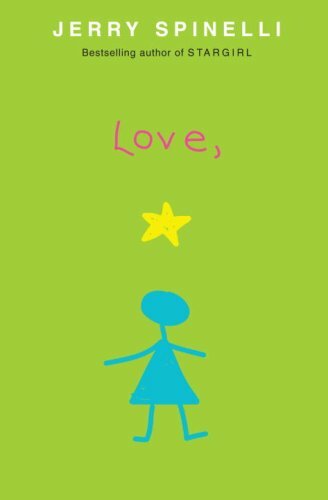 Love, Stargirl didn’t bring the same sense of recognition or magic. Instead of the high school, it’s a small town. She’s not ostracized as much, but she’s even more perfect than before. Watch Stargirl babysit a little girl for no pay! Watch Stargirl help an angry preteen! Watch Stargirl selflessly visit an agoraphobic neighbor! Watch Stargirl win over an antagonistic boy! And on and on. There are lots of quirky people in this small town  another one of my pet peeves in books  and they all come together under Stargirl’s guidance. Oh, and the book is really one long letter to the boy she left behind, the boy who turned his back on her, in the last book. Three things particularly bugged me. One, her father’s a milkman? There are still milkmen in America? Two, the little kid Dootsie needs some serious limit-setting. Three, Stargirl is hung up on a boy she met one year ago (at the beginning of the book). By the end of the book the teens’ fifty-day relationship is almost two years in the past, they’ve had no contact, and she’s still totally hung up on him. Seems a little obsessive. The Amazon reviews looked like they were all over the place, and I’ll admit that I’m too lazy to look for the blogger reviews. If you’ve talked about this book, I’d love it if you’d put a link in the comments. If you didn’t review it, but have an opinion, then let me hear it... read it, whatever. I really really wanted to like this book having loved the first book. But it became a "nightstand book." You know... that book that sits on your nightstand when you don't have anything else to read before you go to bed, you read a page of that one and fall asleep. I never did finish it, so I didn't get around to blogging about it. Like you said, it just didn't have the magic of the first book. Lots of quirky people in a small town? Whenever I read one of those books, I wonder, "How come I never knew a lot of quirky people in a small town? Or even a lot of quirky people in a large town?" They would have made things far more interesting than the daily dealings of snotty children wearing Izod shirts and Jordache jeans. A while back I tried to read this, abandoned it, and wrote a review on the problems I had with it. Since then I went back and finished it and felt pretty much the same. It was a mistake to revisit Stargirl. It would be like reading a book about Scout from Boo Radley's perspective. Basically, Spinelli just took the shine off Stargirl and killed two books in one blow. I can't recommend the first book to people because the second book colors my memory. Perhaps one day Love, Stargirl will fade enough from memory that I can enjoy plain old Stargirl again. Thanks David for you link. You did a great post on this book with a fantabulous last line. Mindy, it's so sad that this book is like a sedative instead of the joy of the first book. 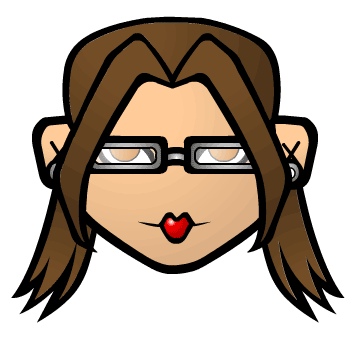 Alkelda, I could have declared blog bankruptcy? Well, that would have helped. Glad to have you back and I'm heading over soon figuring that if you were thinking of me and a writer at the same time that there has got to be MOre to the story. I loved Stargirl, but hated the ending. I've sort of wanted to read Love, Stargirl, but, um, now I'm not so sure! It sounds kind of annoying.